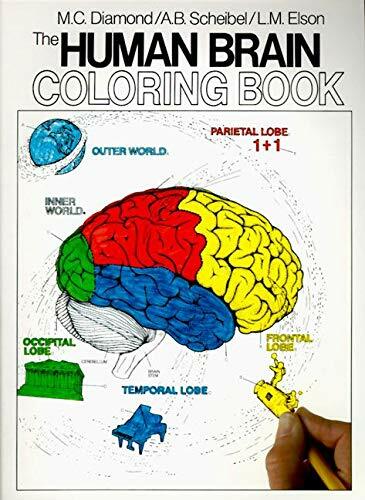 The Human Brain Coloring Book provides a means of learning about the structure and function of the human brain through a process of coloring-by-directions (directed coloring). The Human Brain Coloring Book provides a means of learning about the structure and function of the human brain through a process of coloring-by-directions (directed coloring). It was developed by internationally recognized neuroscientists and teachers Marian C. Diamond and Arnold B. Scheibel in association with highly acclaimed teacher and anatomist Lawrence M. Elson, creator of Coloring Concepts. This coloring book is designed for a wide range of users: informal learners, students of psychology and the biological sciences, medical, dental, nursing, and other health professional students, and students and workers in the neurosciences. The unique, highly developed coloring process makes this book an effective learning device for such a diverse audience. The material included here represents the state-of-the-art knowledge about the brain and how it works. Each plate of illustrations has been carefully designed to yield maximum information when colored. The accompanying text has been creatively integrated with the coloring process to enhance understanding and retention.